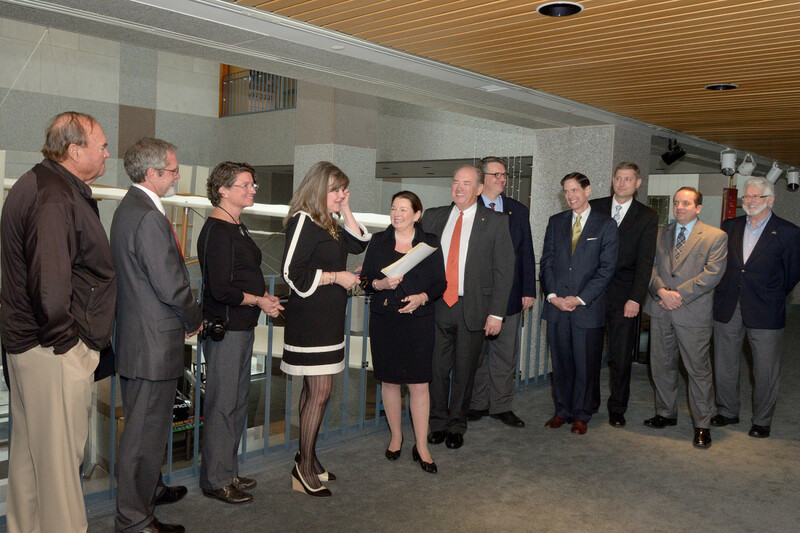 The FFF Board approves the placement. 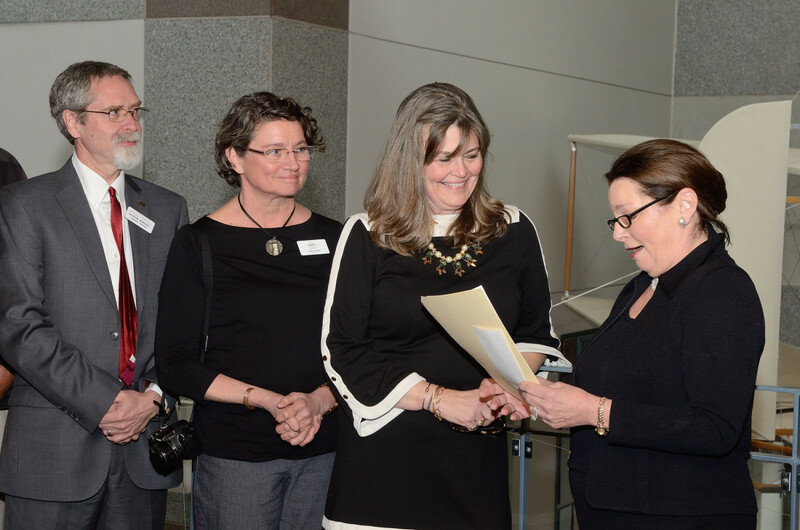 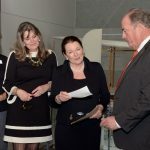 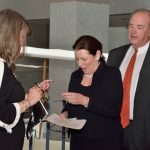 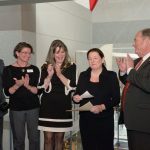 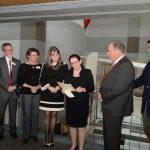 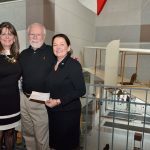 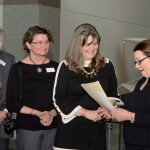 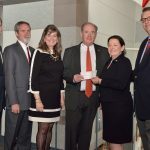 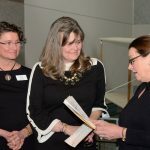 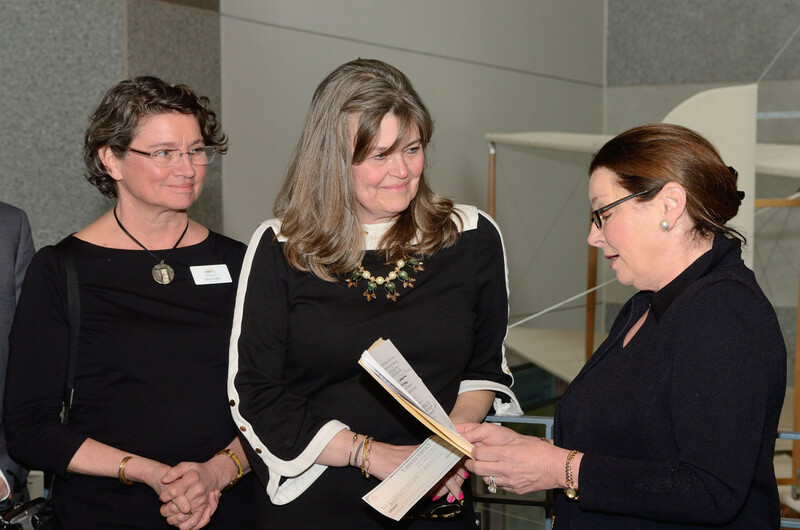 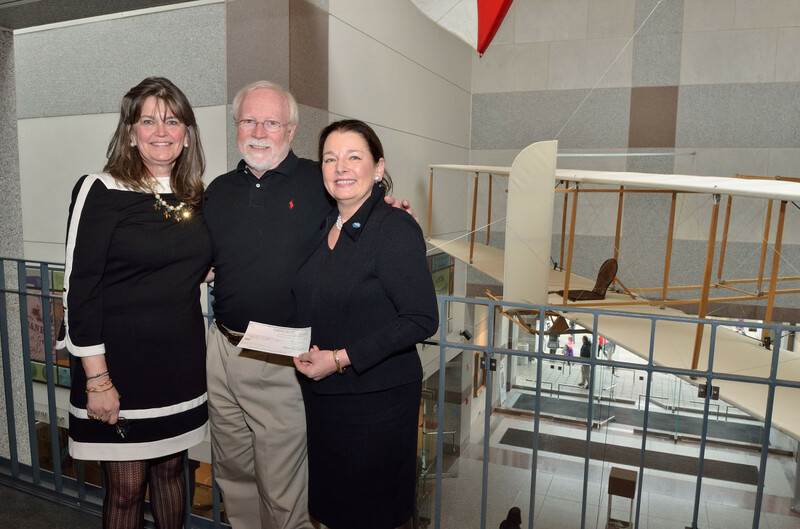 Will Plentl, President of the First Flight Foundation, presents the grant funding to Lyl Clinard of the NCMOH Foundation with Amanda Wright Lane and Lisa Loy of the Foundation. 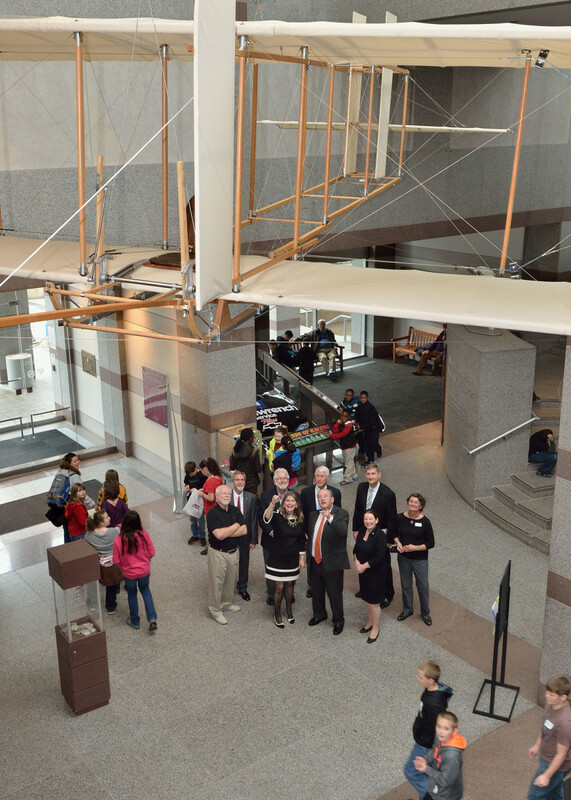 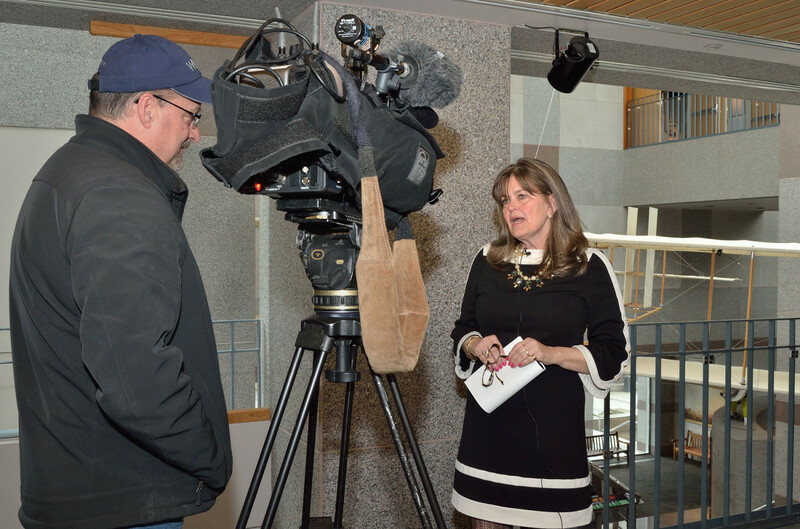 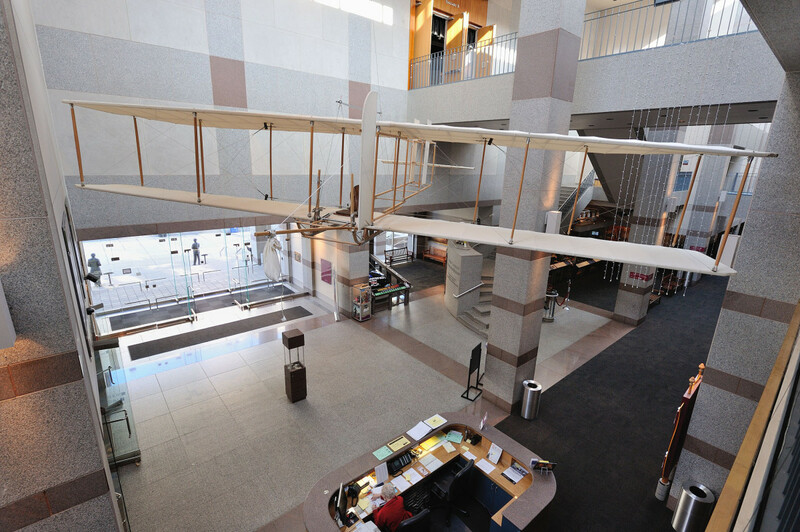 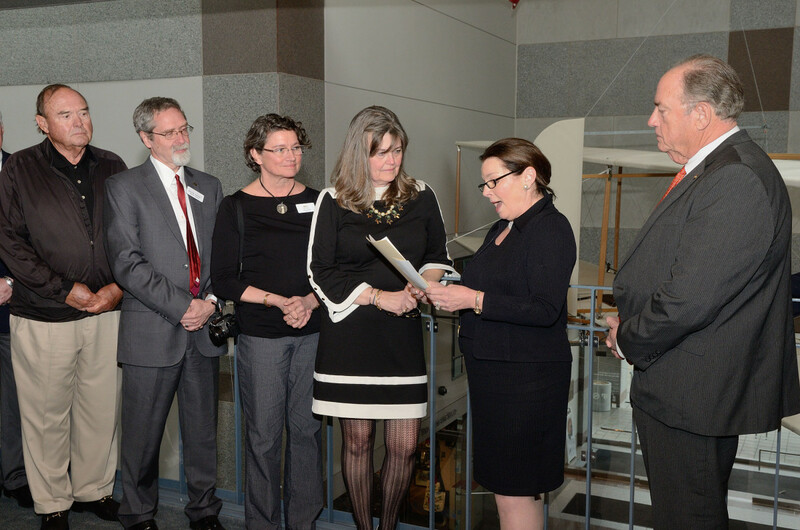 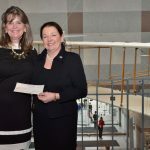 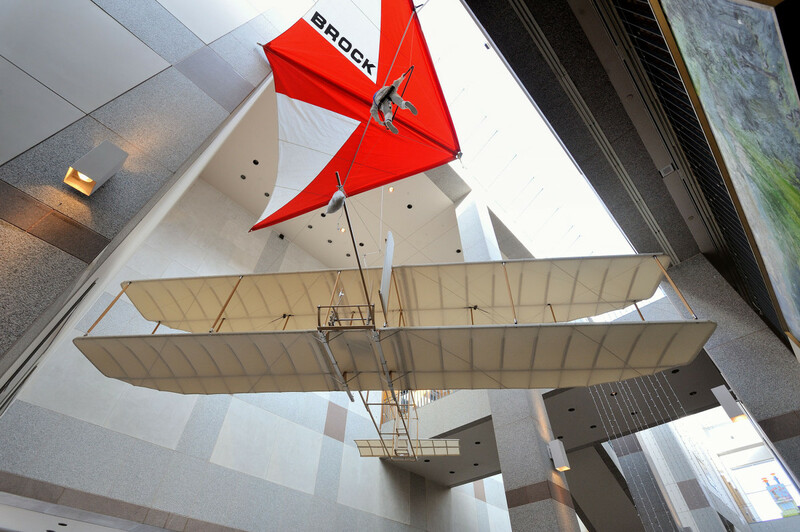 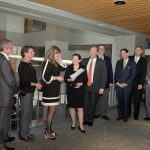 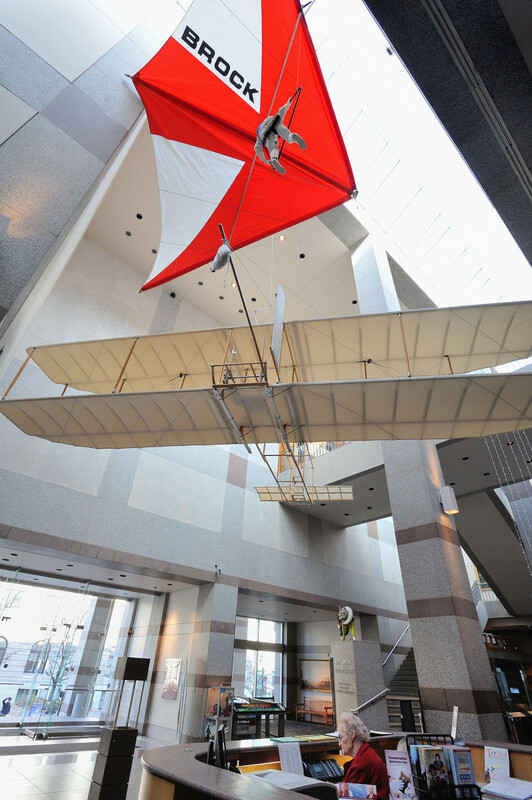 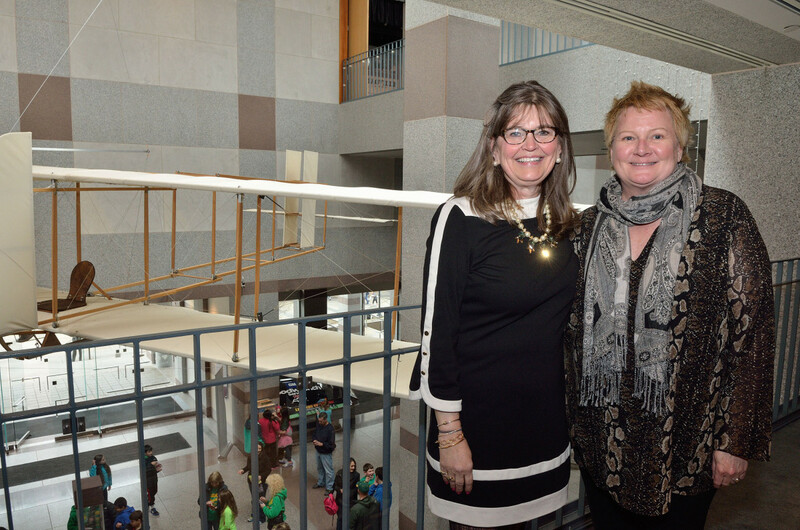 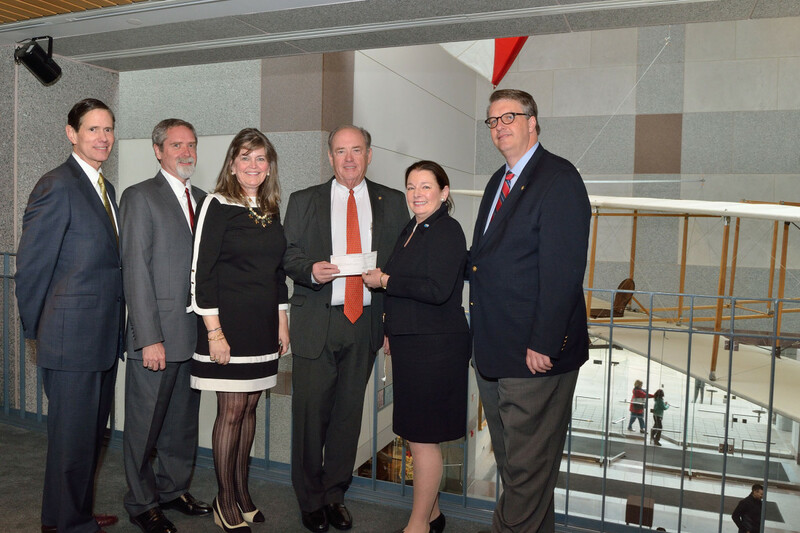 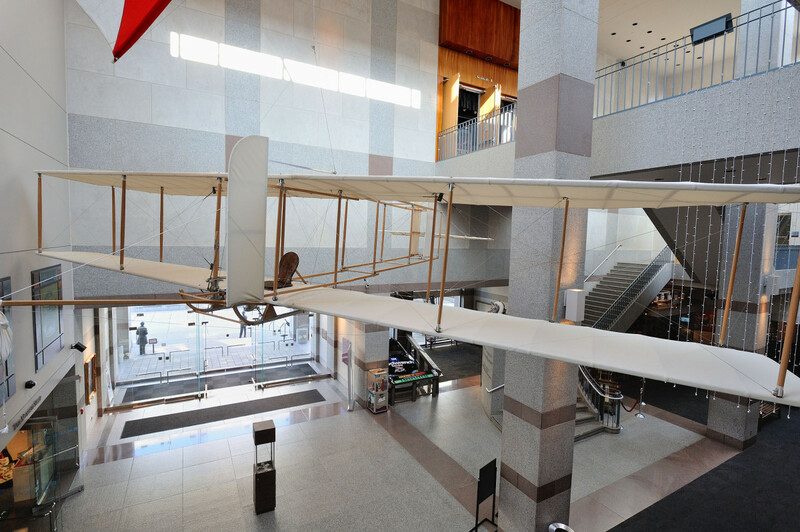 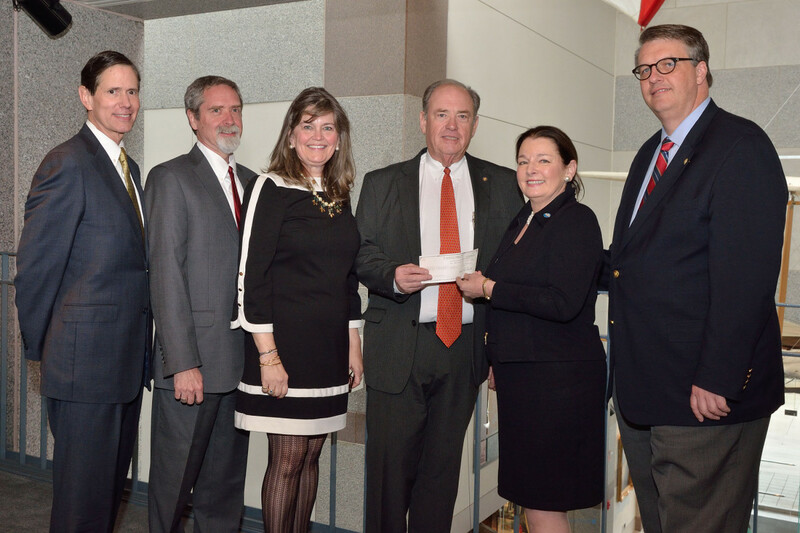 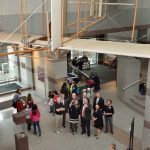 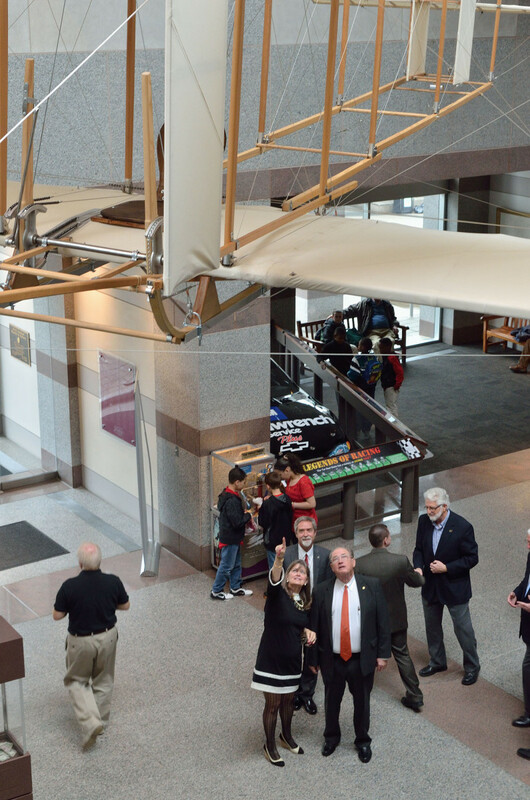 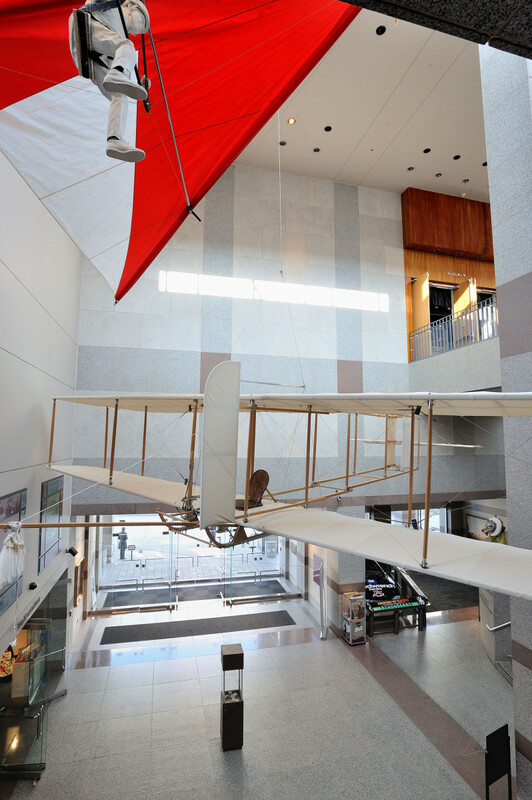 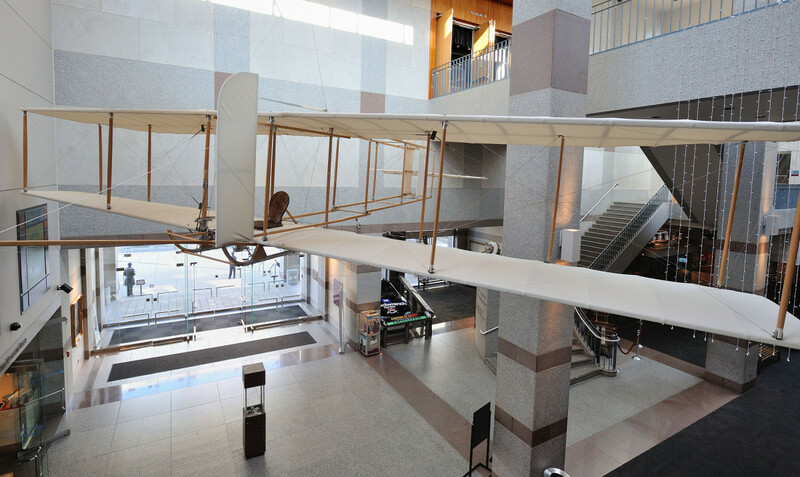 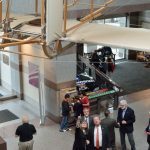 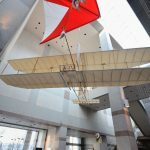 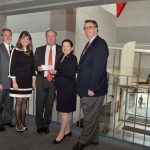 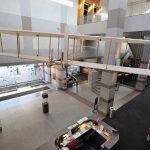 First Flight Foundation meeting and check presentation for the 1911 reproduction Wright Brothers glider in the Museum lobby, March 20, 2014. 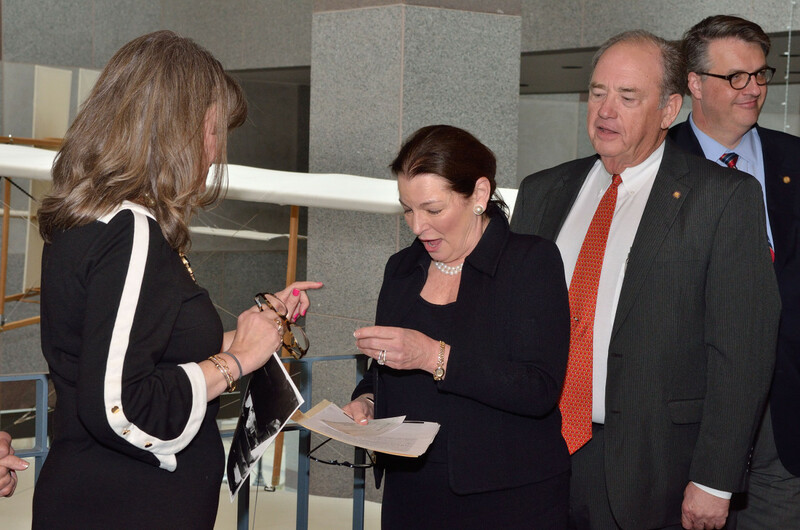 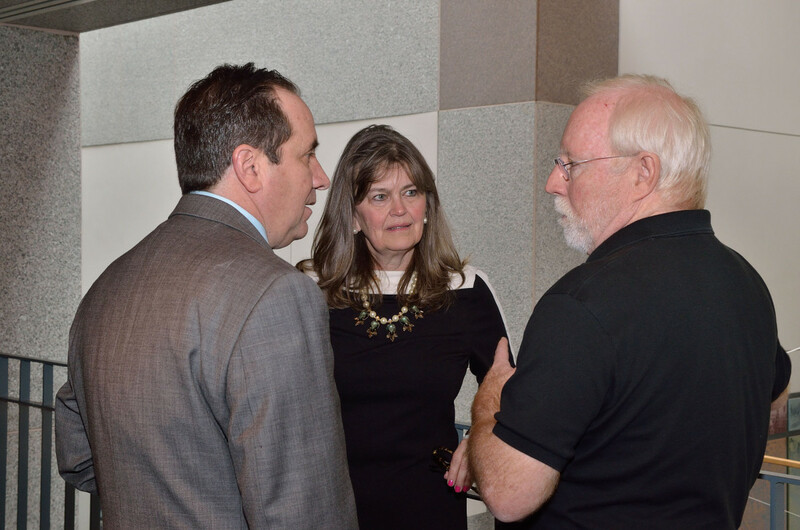 Richard Walls of NC DOT (l), Amanda Wright Lane and Rick Young discuss the glider construction. 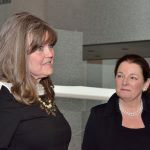 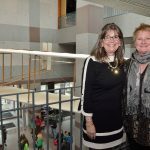 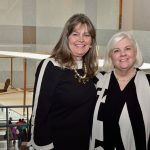 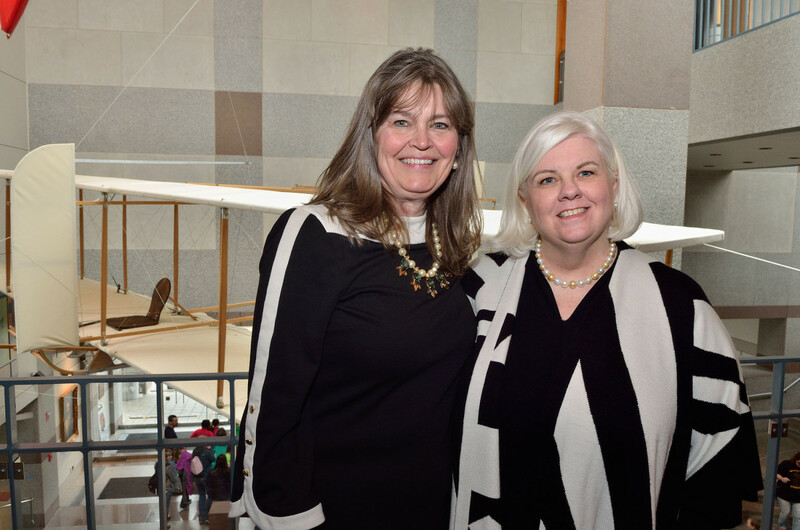 Amanda Wright Lane and Dawn Lowder, NCMOH Foundation Executive Director. 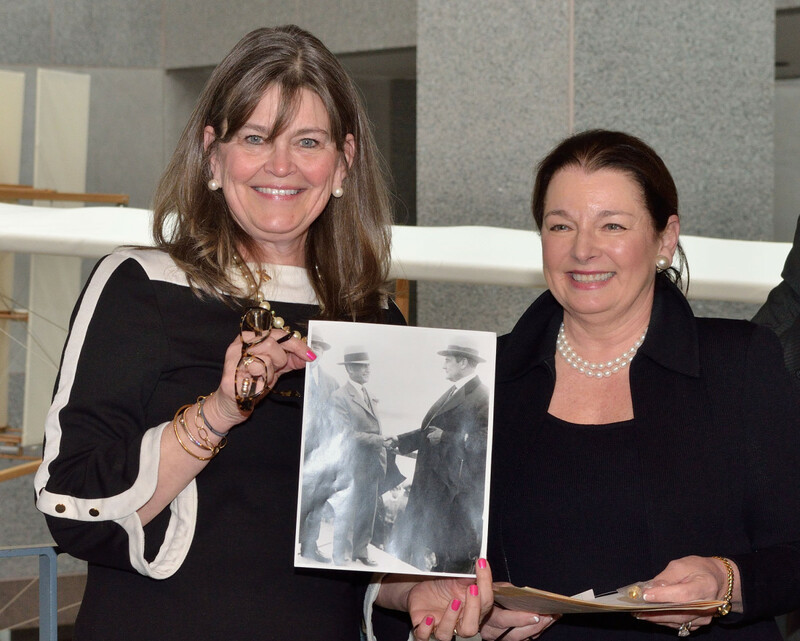 Amanda Wright Lane and Lyl Clinard share NC history. 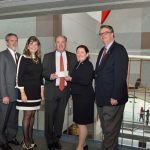 L-R Wilson Haymans of the NCMOH Foundation, Jackson Marshall of NCMOH, Amanda Wright Lane and Will Plentl of the First Flight Foundation, Lyl Clinard of the NCMOH Foundation, and Kevin Cherry of NC Dept. 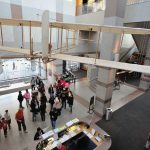 of Cultural Resources. 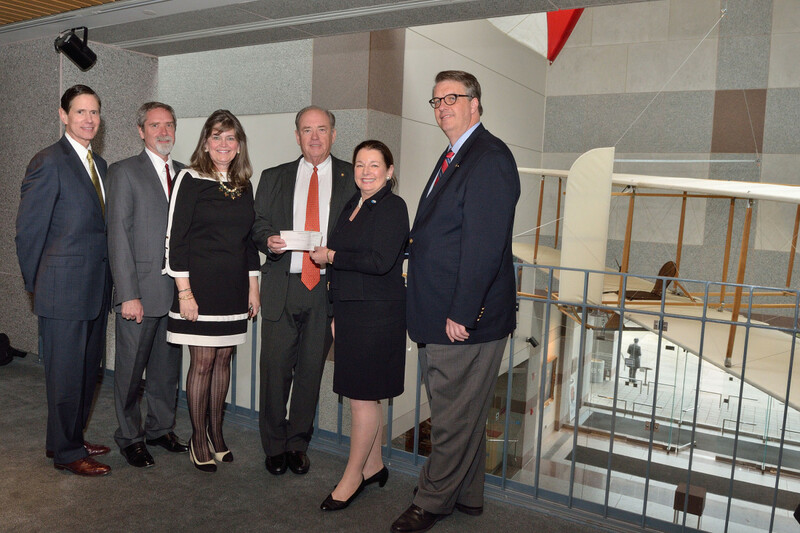 The official check presentation. 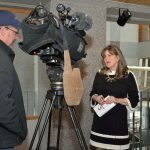 Amanda Wright Lane is interviewed by UNCN TV. 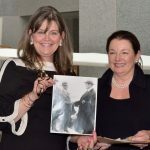 Lane and Clinard share a photograph of their ancestors. 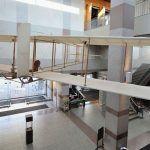 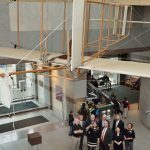 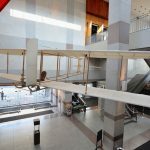 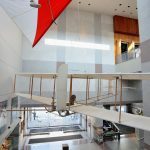 Orville Wright is shaking hands with Gov. 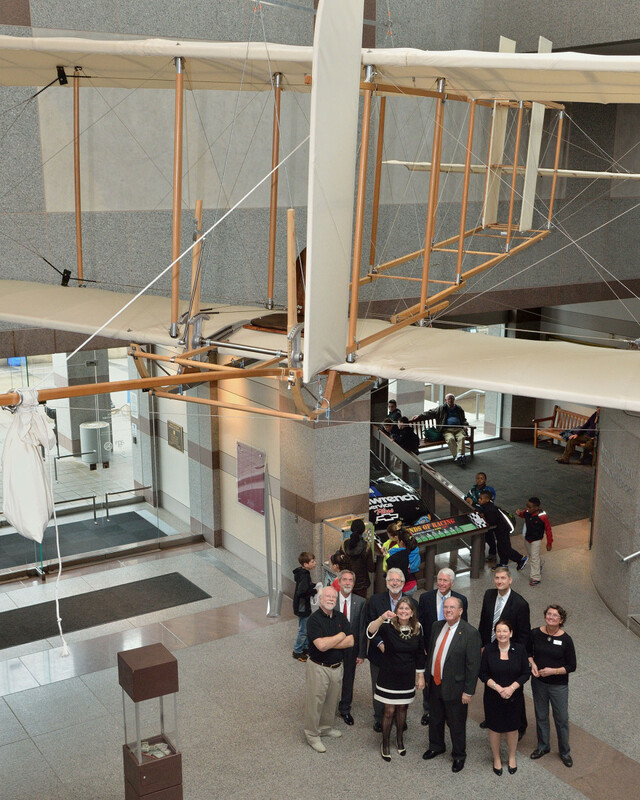 Angus Wilton McLean, Clinard’s grandfather, at the 25th anniversary of the First Flight, Dec. 17, 1928. 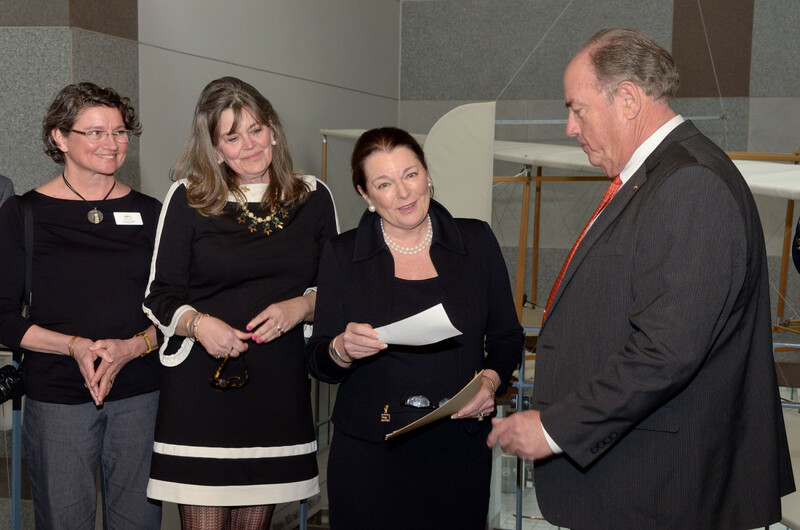 Clinard shares a reading from her grandfather’s papers on the 25th anniversary of the First Flight. 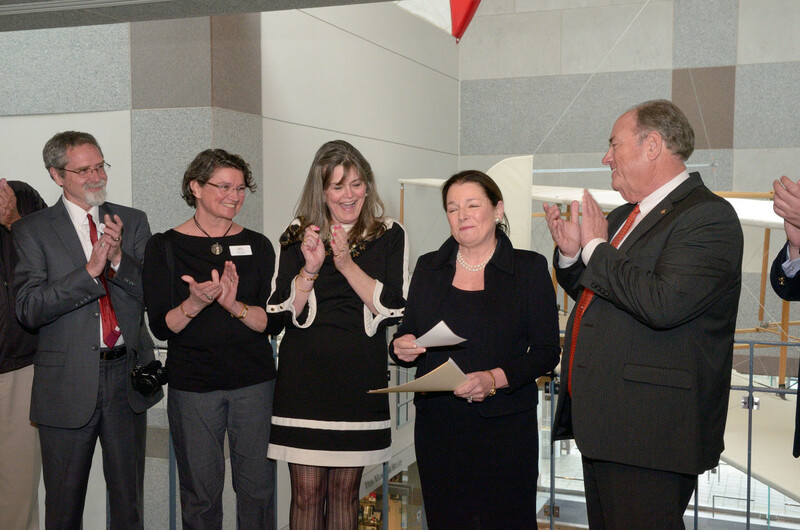 Clinard’s grandfather was the governor of North Carolina and presided over the 25th anniversary celebration. 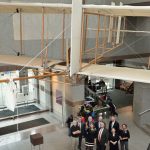 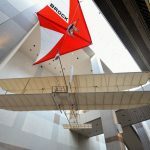 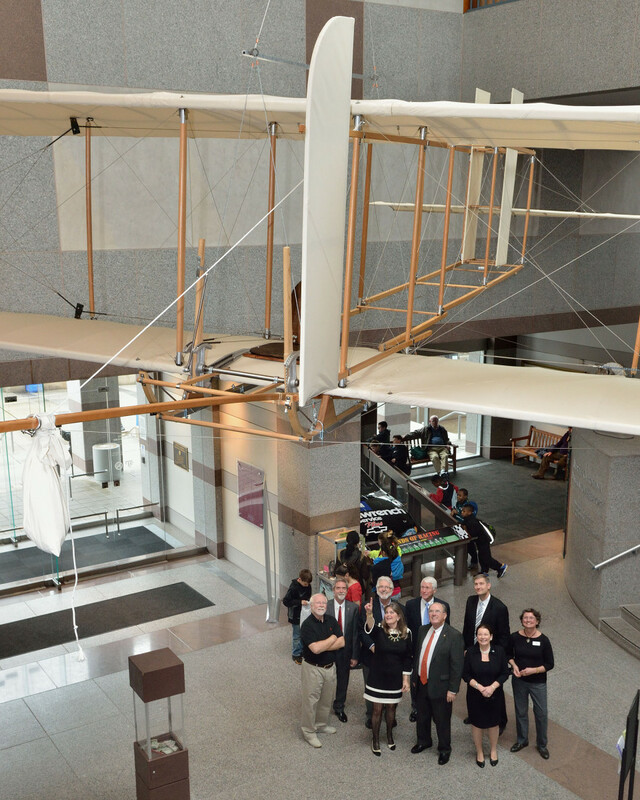 Representatives of the First Flight Foundation and the NCMOH Foundation attend the grant presentation with the backdrop of the 1911 glider. 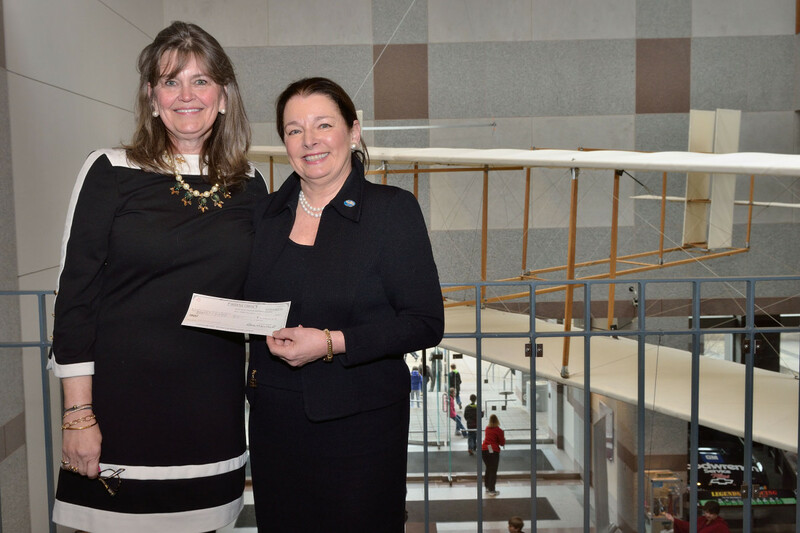 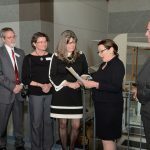 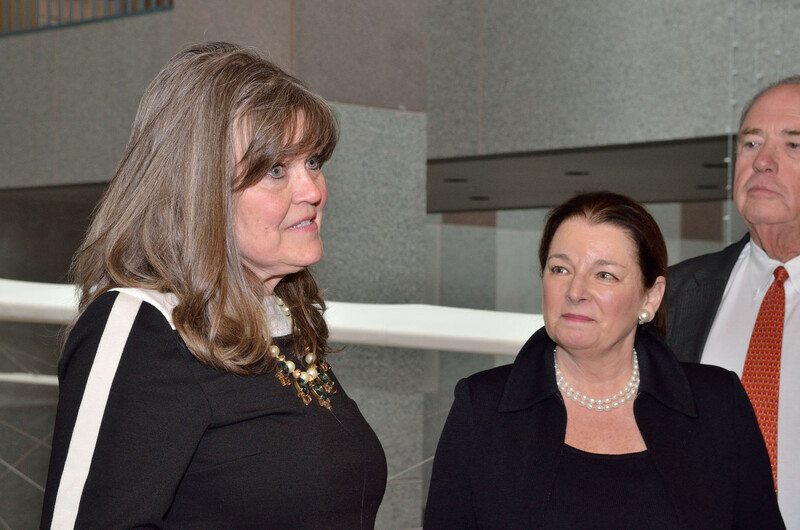 Amanda Wright Lane, great grandniece of Wilbur and Orville Wright and board member of the Foundation, and Lyl Clinard, NC MOH Foundation, exchange gifts of aviation/state heritage. 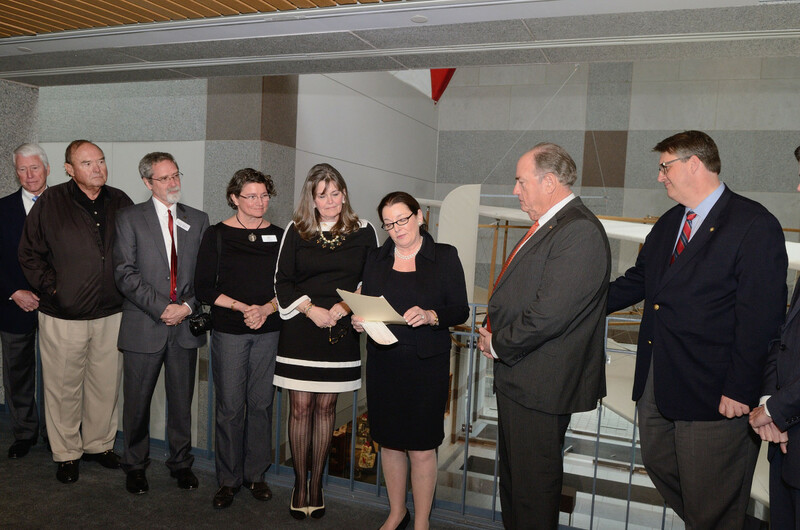 Clinard shares remarks of the museum foundation’s appreciation of the grant. 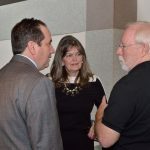 Amanda Wright Lane, Rick Young, and Lyl Clinard. 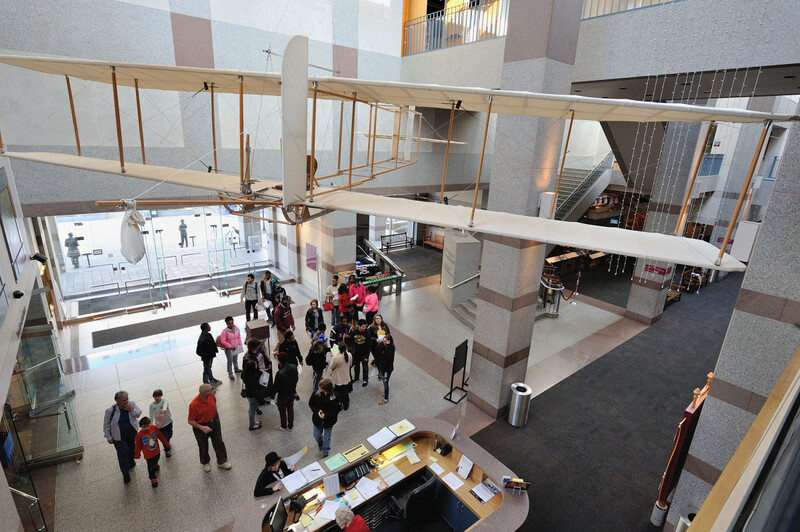 Young is a Wright historian and builder of the 1911 glider.